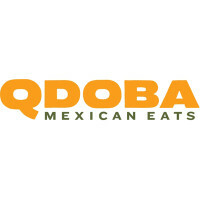 Qdoba is a quick service restaurant offering San Francisco-style burritos, and Mexican flavors nachos and tacos. Its popular items are the Chicken Queso Burritos and the Mexican Gumbo, a chunky and spicy soup that gives you a warm comforting feeling. Are you planning to throw a party or host an event? Qdoba can help. Aside from being a good place for Mexican flavors, Qdoba also offers catering services. What is really special about Qdoba is that they make the food right in front of you. They also serve breakfast and some of its stores are open 24 hours during weekends. Qdoba is the brainchild of Anthony Miller and Robert Hauser who are both natives of Denver, Colorado. It changed its name twice, from originally Zuma Fresh Mexican Grill when founded back in 1995 to Z-Teca Mexican Grill two years after. Its current name was adopted in 1999. Qdoba can be found in nearly 50 states and in Canada. Some are conveniently located in major universities, malls, and airports. Since food being served by Qdoba is readily available, advance booking is actually unnecessary. You may place an order on the same date of the event. Guests will surely love Qdoba’s hot bars, which are included in its catering menu. Guests are free to create their own Mexican flavors. Box lunches are also being offered for easy serving. Health-conscious guests will also love the fact that the food on the menu was made healthier by using vegetable oils instead of animal fats. Qdoba caters to groups as small as 10 to as big as 100 and more. It makes parties not only delicious, but also fun with its hot bars. The food is kept hot and fresh for up to two hours. Popular items to choose from their menu include the San Francisco-style burritos, nachos, and tacos. For easy serving, box lunches are also a best seller for business meetings and other formal events. You have two options in ordering from Qdoba catering services. First, you can call the local store nearest you directly. Secondly, you may go to the nearest store and place an order in person. Qdoba offers free delivery of food items including utensils, napkins and chafing dishes. The team arrives an hour earlier to set up all equipment needed for your event. While a same-day order is accepted, it is advisable to place your order several hours before your event to ensure availability. Qdoba’s signature Hot Bar caters to a minimum of 10 persons and can be ordered in increments of five people. The meat options included are adobo-marinated grilled chicken only, and adobo-marinated grilled chicken and grilled steak. There are also options to upgrade the bar by ordering add-ons such as a 3-Cheese Queso sauce, Fajita vegetables, black or pinto beans, salsa and hand-smashed guacamole. The portion sizes and offerings may differ from one store to another. Some stores offer an option to have all chicken or split to chicken and steak. Other stores have also doubled the amount of guacamole provided for every guest. Prices, too, vary. Hence, it is best to check out your local store first before placing your order. But normally, the estimated budget for each person is only about $8-$10. Qdoba catering prices are affordable in general, but are slightly costlier than other fast food offering catering services. But with the quality food it offers, you get what you pay for.